Cash Depot is an active member of M-Pact (Midwest Petroleum and Convenience Tradeshow), and will be in attendance at the annual show, March 14-15, 2012 at the Indiana Convention Center in Indianapolis Indiana. They can be seen at booth #1136. Cash Depot is also an active member of MPA/MACS (Michigan Petroleum Association) and will be attending that tradeshow on March 20-22, booth #108 at the DeVos Place Grand Gallery in Grand Rapids, MI. Cash Depot will have on display some of their leading Nautilus-Hyosung® and GenMega® ATM equipment, along with Excel® Digital Air Towers. If you are not already aware of the new ADA compliance regulations required for ATMs, they are extremely informative on the issues and are offering deals to upgrade older equipment that aren’t ADA compliant. 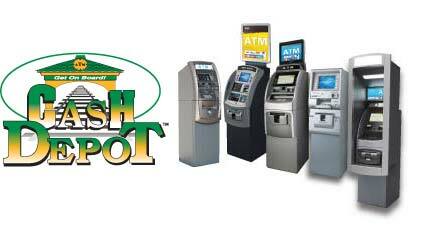 Cash Depot is a privately owned, independent full service ATM Provider focusing on merchants and financial institutions. It is one of the few companies in the industry that provides In-House Processing resulting in the fastest possible transactions. Cash Depot sells, leases, rents, services and supports ATMs in the most efficient way maximizing profitability and customer satisfaction.